design-art-life: Say It Ain't So Domino!! Say It Ain't So Domino!! So, Domino is ka-put... This news has been out for over a week and the more I think about it, the more bummed out I get. I'm still mourning House & Garden! AND, I was rooting for Cottage Living- the great underdog! But alas,... RIP. With all these magazines going under, it makes me worried that they are going to become more and more obsolete. And frankly, that stinks. There is nothing like holding a glossy in your hands and seeing a full article. 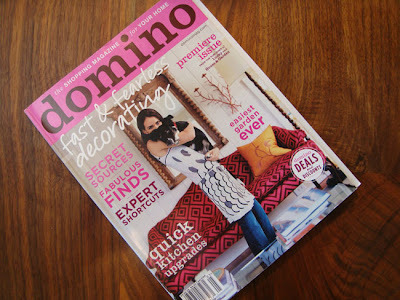 I wish the people at Domino good luck and hope that the magazine world can restructure to stay alive in the future.